THERE IS RACE DAY REGISTRATION FROM 6:00 PM until 7:30 PM at Young's Field at the Pavilion. 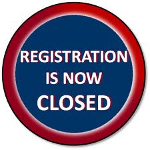 PRE-REGISTRATION PICKUP IS DURING THE SAME TIME! This year the top male and female finish will receive a cash award of $100.00 as well as gift certificate to Ridgefield Running Company. There is $750.00 course record bonus available as well. Age Group awards will go out to the top 3 in each of the following categories: 10 & Under, 11-12, 13-14, 15-18, 19-29, 30-39, 40-49, 50-59, 60-69, 70-79 and 80 . The top 3 will receive a Moonlight Run laser etched stainless steel water bottle! All fun runners will receive a finishers medal and a cupcake from the Sweet Spot!!! This year we will donate 100% of the net proceeds to the Molly Ann Tango Foundation and the New Milford XC Program. We are determined to help raise awareness … come and join us!!! A special thank you to our title sponsor, Bank Street Theater, whose support is what makes this great race possible. 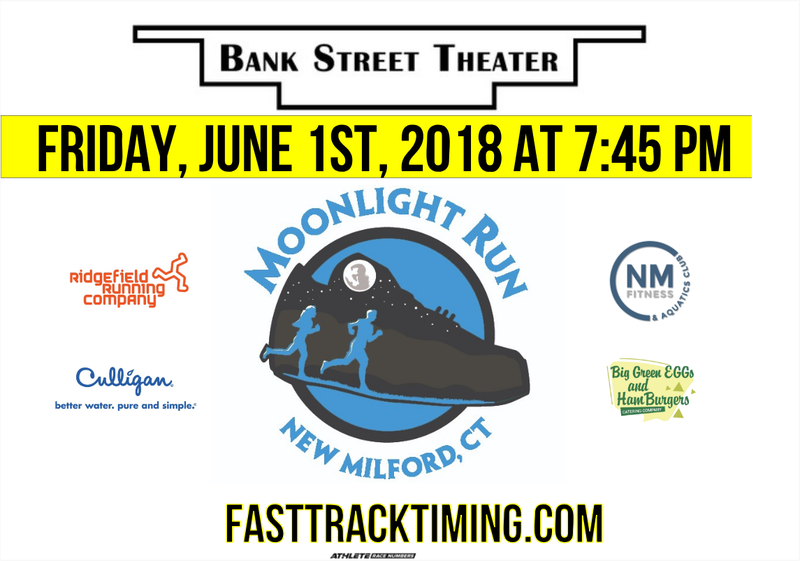 Also a special thank you to our supporting sponsors: Bank Street Theater, New Milford Fitness & Aquatic Club, Culligan Water, The Big Green Egg & Hamburger Catering Service, Johns Cafe, Ridgefield Running Company, 98Q of Danbury, Stop & Shop, Ruth Chase Flower, Fat City Screen Printing and the Sweet Spot.